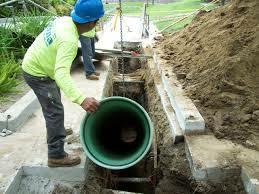 Call us today for great prices and same-day service for sewer repairs and sewer replacement in NJ, at 201-645-0888. Corrosion eventually destroys cast iron, steel, concrete, and many other common materials used in sewer laterals, sewer mains, and other wastewater systems. In recent decades, alternative materials like PVC (polyvinyl chloride) and ABS (acrylonitrate butadiene styrene) provide lightweight, corrosion-resistant, and cost-effective alternatives for sewer lines, drain pipes, and septic tank pipes. Plastics used in wastewater systems have high resistance to chemicals that can cause corrosion, making them a good choice for areas where water and temperature is such that corrosion is likely to occur. 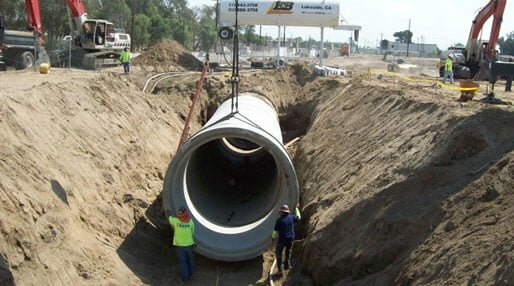 At A1 Sewer & Drain Services, we provide local sewer installation and sewer line replacement services in north NJ, including Bergen County, Morris County, Union County, Passaic County, and Hudson County. 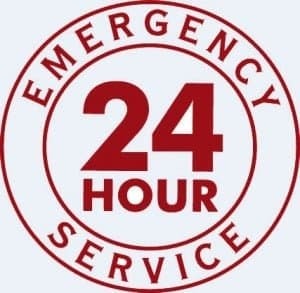 We’re available 24/7 for emergency sewer repairs, drain repairs, and more. Call us any time at 201-645-0888. 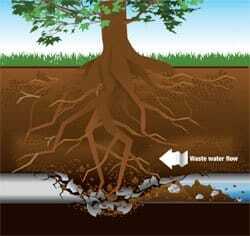 The two plastics that are most commonly used in sewer line installation are PVC and ABS. Both materials are lightweight and relatively durable, though not as long-lived as copper or cast iron. They’re cost-effective to install, and unlike metal or concrete, they don’t corrode from bacterial hydrogen sulfide. ABS pipe is made from a thermoplastic resin. The smooth interior finish is conducive to good water flow, and it won’t rust or corrode. ABS was originally developed in the 1950s for use in oil fields and chemical plants, but in 1959, a builder in Arizona used it experimentally in residential plumbing. 25 years later, the pipes showed no evidence of rust, rot, or corrosion. In 1967, ABS standards were approved for pipes and fittings. Although ABS can release noxious gases when burned, it’s actually not particularly flammable. To ignite, it must reach temperatures of at least 871 degrees Fahrenheit. Testing has indicated that the gases released in the event of a fire are no more toxic than that released by wood and other common building materials. PVC is another common thermoplastic that’s well suited for sewer laterals, drain pipes, and other wastewater plumbing. As of 2006, they are not permitted for indoor water supply lines, since toxic chemicals can leach out into drinking water. However, it’s still used for waste lines. PVC has been manufactured since the 1930s, making it one of the oldest commonly used plastic materials. PVC is non-conductive to electricity, giving it superior resistance against electrochemical corrosion processes caused by acids, bases, and salts. This makes it a great sewer replacement choice in areas with acidic soils conditions. It also resists most chemical reagents at temperatures up to 140 degrees Fahrenheit. Another advantage of PVC is its strength to weight ratio. Although it’s quite lightweight compared to copper or cast iron, it’s resistant to fractures. Although the plastic itself is rigid, PVC can yield under loading without cracking. This elasticity is useful in buried pipes like sewers, especially in areas with unstable soil. On many properties in New Jersey, the existing sewer pipes may be surprisingly old. Cast iron has a very long service life, meaning that a cast iron sewer lateral could be decades old. Eventually, it will succumb to microbial hydrogen sulfide corrosion, and you’ll need sewer replacement from a local NJ plumbing company. Corrosion affects copper, cast iron, and other metals, as well as the concrete that’s often used in septic tanks. PVC and ABS plastics provide a sewer replacement option that’s not susceptible to the electrochemical processes that cause corrosion. The lifespans of these materials average around 50 years before they’ll need to be replaced again. Failing or collapsed sewer pipe? Call us any time at A1 Sewer & Drain Services for fair prices and quality workmanship from experienced and skilled NJ sewer plumbers. We provide trenchless sewer repairs, sewer line replacement, new sewer lateral installation, and more throughout north New Jersey. Call us today for same-day service at 201-645-0888.